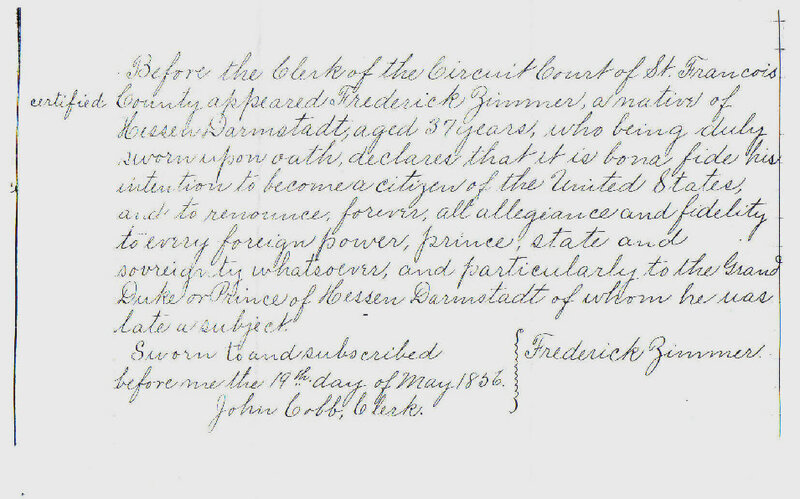 "Naturalization Records - Frederick Zimmer"
Document: Naturalization Record - Court Certified. Location: St. Francois County Courthouse, St. Francois County, Missouri. Place of birth: Hesse Darmstadt, Germany. 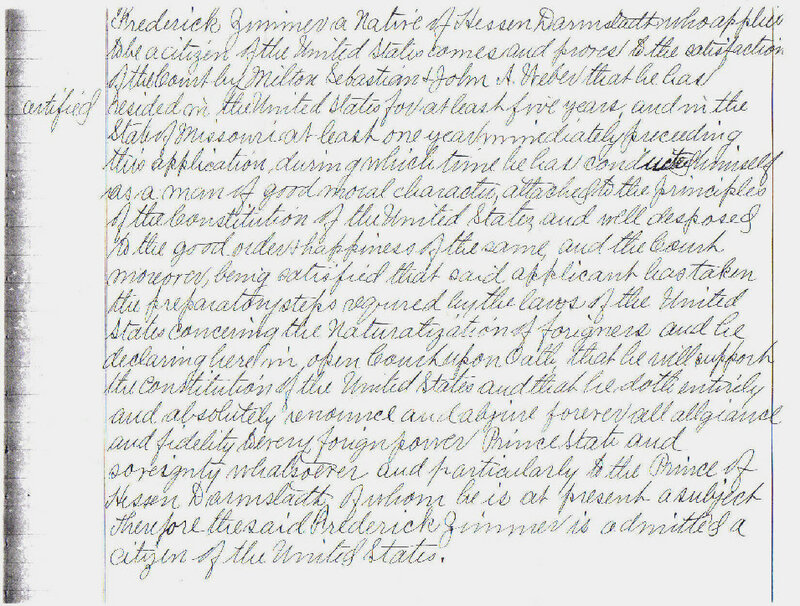 Many of these naturalization records wouldn't be here if not for family members like yourself. Therefore, please submit your family naturalization records so we can all enjoy them together. Also, please contact us if you want to acquire a high quality copy of any naturalization record listed on this site. Thank you! Note: All submissions to the family marriage records directory must somehow be related to a family and/or individual currently listed within this site.